One sunny day last week, Mrs. Smith was busy making a Bundt cake when little Johnny and little Suzie came running into the kitchen screaming, “There’s a snake in the yard!” Mrs. Smith dropped the mixing spoon, and went running out to the back yard, and what did she see? A big snake curled up on the children’s trampoline! And, it was a rattlesnake!! Quick-thinking Mrs. Smith ran to the phone with her children running behind her and called Gold Miner Pest Control. Our brave and fearless technician, Ted, was dispatched ASAP and soon, a shiny (and clean!) red truck came screeching to a halt in her driveway. 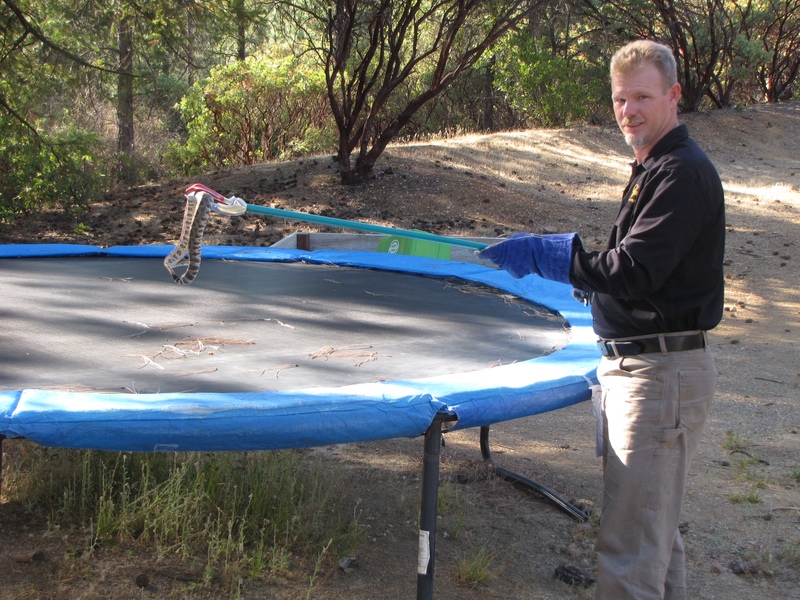 Out jumped our superhero technician, Ted, with his snake tongs at the ready. 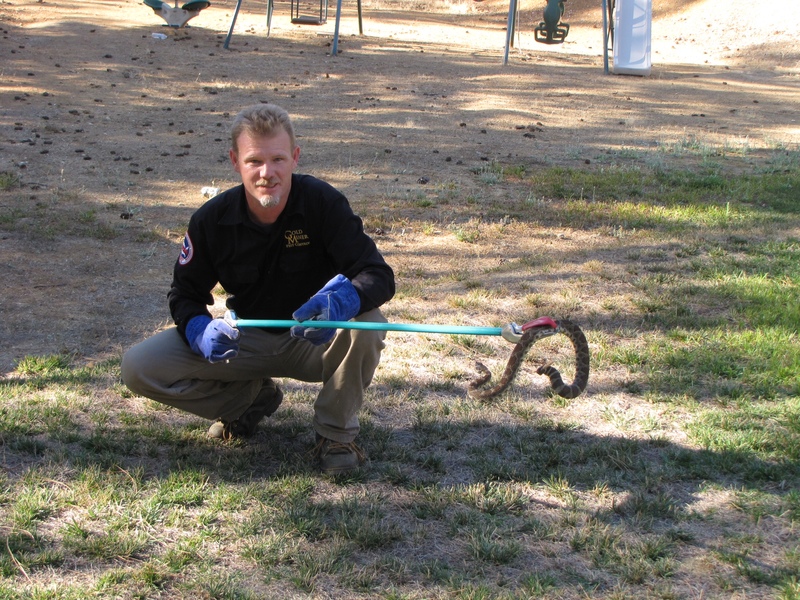 Rattlesnake captured and safely removed from children’s play area! Mrs. Smith cried tears of joy as her children happily resumed their play on the trampoline! Gold Miner Pest Control to the rescue, once again!